New Year’s Resolutions are a tradition intended to inspire us to be better people in the new year. Typical resolutions include losing weight, spending more time with friends and family, and quitting smoking. In other words, many of our resolutions are intended to improve our health. Yet, many people skip a simple and achievable resolution that can improve your health, self esteem, and even social and business lives. This resolution is to maintain perfect dental health. As your Croydon dentist we might be a little bit biased, but we feel that this resolution is one of the best you can make. Keeping your teeth healthy is something you can do every day for a healthier new year. 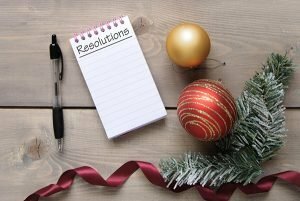 At A Supa Smile we are pleased to offer you a few tips on how to keep your dental resolutions for 2018 and beyond. Dental cleaning is a key component in the health and strength of your teeth, which affect your dental and general health as well. Everyone needs a professional dental cleaning twice a year. This is covered under most dental insurance programs, so you don’t have to pay a fortune to get your teeth cleaned. While brushing and flossing help you maintain a healthy smile, there will still be built-up plaque that can only be removed at A Supa Smile. Our highly skilled dental hygienists can help you. Make both of your dental cleanings this year to keep your smile as clean as possible. Making a commitment to brushing and flossing your teeth twice a day will help prevent many unwanted issues, such as plaque build up, which can lead to bleeding gums, cavities, and sensitive teeth. Tooth brushing technique is a key part of your oral care routine. Some people brush too hard, thinking that this is how to eliminate plaque. However, this isn’t a good idea even if you’re using a soft-bristled brush. Brush gently but thoroughly for maximum health and effectiveness. Another mistake is brushing in a straight line, back and forth across the teeth. Dentists agree that brushing with a circular motion promotes healthy gums and covers a larger surface area across your teeth. Tear off a length of floss that is about 18 inches long. Use both hands and wind the floss around the middle finger of each hand. Leave a 1- or 2-inch length of floss between both hands. Be gentle as you work your way through ever tooth, being especially careful around delicate gum tissue. Re-wind the floss so you use a clean section every time you move to a new tooth. While moderate alcohol consumption can be part of a healthy lifestyle, too much of it is definitely bad for you. You may already know that excessive alcohol consumption can damage your overall health, but did you know that it can also harm your oral health specifically? If you also smoke cigarettes, the effects are even worse. People who smoke, eat poorly and consume excessive alcohol also have increased gum recession. Studies show that smokers who consume alcohol are less likely to brush their teeth on a regular basis. Gum disease, tooth decay, and mouth sores are all much more likely for heavy drinkers, and alcohol abuse is number two on the list of risk factors for oral cancer. Quitting smoking is a popular resolution across the world. On top of the health problems that it causes for lungs and heart, smoking and using tobacco (including smokeless) can harm and discolour your teeth, increase the risk of gum recession and disease, and put you at a higher risk of oral cancer. There are many effective strategies for giving tobacco up, such as staying away from people who smoke or use tobacco, changing your routine, getting support, or signing up for group or individual counseling. Here at A Supa Smile we can help with tips and advice, and suggest various resources that can help you kick the habit for good! A Supa Smile is experienced in treating all kinds of dental issues. We want to help you achieve dental health for the New Year and beyond. Our office is located just off of the Maroondah Highway with public transport nearby. For working patients we are open from Mondays to Saturdays, morning until evening. Call us on (03) 9723 0703 or request your appointment online today!